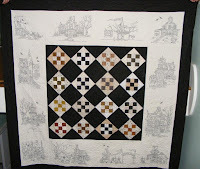 Quilting Adventures: A done deal.....! I like to think of myself as proactive! 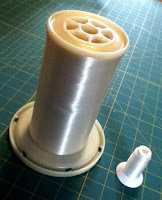 Knowing that I had hocuspocusville to machine quilt, I went ahead and ordered a larger spool of YLI monofilament thread. I figured that normal little tiny spool just wasn't going to get the job done. Imagine my surprise when I received this in the mail! Yea! Okay, what the heck is this? That ... is what they call a pound of monofilament thread! It does not look at all like the picture on the website! As a matter of fact, far from it! Does this actually fit on Penelope? After finally finishing to croak Hocuspocusville, I went to work with Penelope and now have a finish! I do like the way it turned out! I chose not to hand embroider between the blocks. 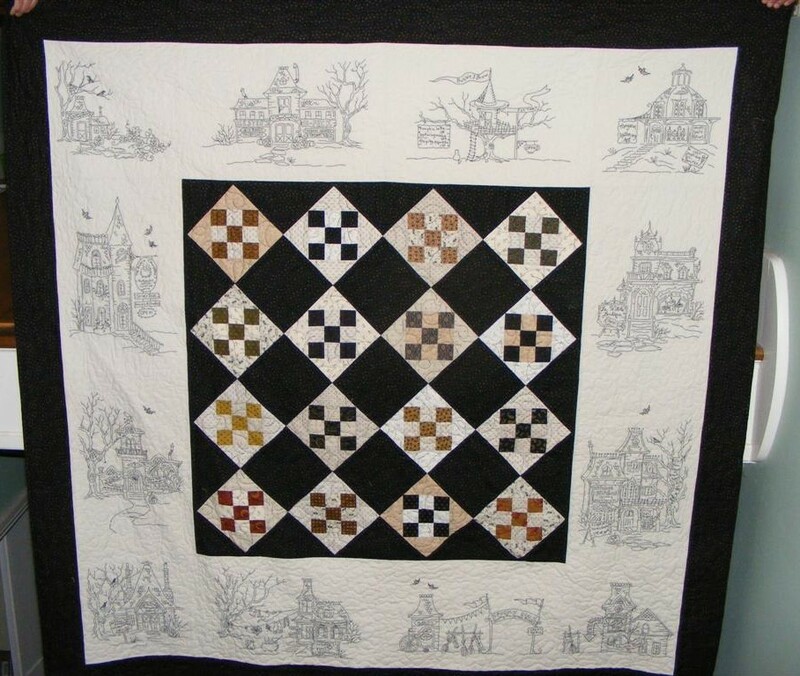 I wanted the quilt to look like a neighbourhood! Of course you all know what is on the back! The Ghaslies! You know, it's a great feeling to be able to cross out a project from my 2009 UFO list! Hurray for me! Congratulations -- it's just adorable! And that spool is too funny. Maybe you should use it to tie people up or something LOL! Looks great...what a huge spool! Now that's a serious spool of thread! What's new in my world.....! Talk about a good laugh....! Driving me to the brinks.....!